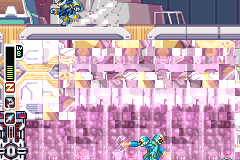 GBA Mega Man Zero 2 (JPN) in 49:47.57 by Hetfield90 & Flameberger. This time, the Japanese version is used instead for a glitch only available on that version of the game. This run by Hetfield90 and Flameberger improves the previous run by 1 minute and 34 seconds after accounting for emulation differences.